Julie Dirksen’s “Design for How People Learn” (2nd Ed., 2016) opens with a basic premise: those who would design learning for others need to focus on how people actually learn. They need to understand the stated purposes of the trainings and the workplace problems that the trainings are to solve. They need to use the latest research on how people learn and retain knowledge, how they train for skills, and how to harness human motivations and habit formation. Then, the author goes on to make her case by presenting a book that is built on how people learn. The book itself is clearly structured, with a developmental trajectory that carries readers from basic concepts to more complex ones. The book reads well sequentially, and it also reads well for those who just pick-and-choose sections to explore. Throughout, the text is light and fairly minimal, the pages’ white spaces plentiful, and the imagery is ever-present: stick figures riding bicycles over different inclines to describe how humans learn best (not with a tough slog with all new information but with some new information mixed in with known information), and so on. The images of people appear to be stock footage, but they show people in various diversities—of race, gender, and age; the book messages inclusiveness also in its language and easy readability. The chapters are labeled in an informational way with light touches of humor: Chapter 2 reads: “Who Are Your Learners? (In which we learn that our learners are not necessarily like us, and also the importance of tidy closets).” Chapter 3 is titled: “What’s the Goal? (in which we learn that buildings learn like people do, and that you should let your learners drive the car, not just ride along).” Chapter 6 goes: “Design for Knowledge (in which we learn to not hand out mittens in summertime and to let learners hold the map).” The voice throughout is personable and approachable. It is almost as if the author—as a long-term learning designer in a number of workplace contexts—went ahead and profiled her potential readers, did write-ups of their respective workplaces and organizational learning needs, sifted through the enormous set of educational research literature and selected foundational research works to cite, identified the most important points, and created a sparse and ruthlessly edited book with designed learning gaps to prompt reader thinking. “Design for How People Learn” is written to the high capabilities of readers but accommodates for the vagaries of human nature—the preferences for “shiny things,” the easy distractions of modern life and screen technologies, the general lack of discipline (if left untutored), and the human fallbacks to habits. It offers learning designer scenarios to show empathy to the readers but also to enable readers to more easily apply the book’s insights to their local design contexts. There are multiple instances of the uses of red text in all caps admonishing readers to “…TAKE A MOMENT TO CONSIDER HOW YOU WOULD ANSWER BEFORE MOVING ON…” to slow readers down to encourage them to reflect and not merely gloss over points. At the ends of each chapter are summaries of the applicable main ideas. The author begins with some common misconceptions about learning. For example, some assume that others best learn as they themselves do. A naïve learning designer might assume that having knowledge directly means that the learner can apply the knowledge, but knowing ≠ doing; rather, designing for training requires learners to actually go through the actions, receive proper feedback, and practice appropriately. “If you don’t start with the gaps, you can’t know that your solution will bridge them. You can build a suspension bridge to cross a crack in the road, or try to use a 20-foot rope bridge to span the Grand Canyon” – Julie Dirksen (2016, p. 25). Learners can be drawn to and motivated by their instructors: their enthusiasms, charisma, and their teaching methods. Learners can also be motivated by the learning design, which can be much more subtle and even invisible to learners. To design effective learning, Dirksen begins with a gaps analysis, drawing information from organizational leaders, the workplace, the learning domain, and the learners themselves. A major risk, early on, is to design a learning with insufficient information for the task (p. 6). Another risk is to mistake the conveyance of informational learning with skill acquisition, which requires actual learner practice. One of her examples, shared as a story, highlights how trainings can go awry if there is insufficient thinking through of the training design and implementation, the learners, and the context. Common sense is important. “One of my all-time favorite clients was a group that did drug and alcohol prevention curriculums for middle-school kids. When they were initially explaining the curriculum to me, they talked about how a lot of earlier drug-prevention curriculums focused on information (“THIS is a crack pipe. Crack is BAD.”). Having the information from a gaps analysis enables post-training explorations to see if the applied learning had the intended effect or not. This text bridges learning design and learners by offering some highlighted aspects of the latter and making some suggestions for the former. Unless the book itself may be considered based on a learning design (and I think it is), there is no other full learning design offered here. Human learners can be highly sensitive to the nuances of a design. For example, Dirksen points to how readable font leads to a perception of the described task as being easier; more hard-to-read fonts, though, may be more memorable (p. 10). Various design choices are not without paradoxes. In a workplace, there may be barriers that may hinder the effects of trainings. For example, there may be a lack of sufficient information for proper decision-making. The communications strategies may be insufficient. The learners themselves are a major part of the challenge in terms of the learning designs. Learners themselves are not often able to effectively assess what their learning needs are (a design should meet both their felt needs and their actual ones). Learners often misconstrue and inflate their perceived capabilities (pp. 105 – 106). In an entertaining one-sheet, the author describes different learner types: the “Just tell me what I need to know” learner, the “Hey! This is cool!” learner, the “I need to solve a problem” learner, the “This is a required course” learner, the “Oooh, shiny!” learner, the “I fear change” learner, and the “I pretty much know all of this already” learner (p. 29). People are, at various turns, each of the prior types of learners depending on the topic and the context. A core takeaway: Learners may be reluctant to engage. However, to be successful, a learning designer has to motivate learners to engage successfully, and they need to make learners feel smart and capable during the learning (p. 35). More challenging learning may be scaffolded to enable progress, and these scaffolds may be removed as learners gain knowledge and skills (p. 42). Or if the learning is very complex, reduce that complexity by simplifying the learning environment (p. 43). “If you don’t want the material to flow smoothly past (or around) your learners, then you want to provide a little friction—something that requires learners to chew on the material, cognitively speaking. This is also sometimes referred to as desirable difficulty” (p. 166). Increase germane cognitive load while reducing extraneous cognitive load, she advises. Show instead of tell because “showing” has friction by requiring observer interpretation. Telling, on the other hand, requires less learner engagement and leaves a lighter impression. Learning designs should be tested. “Try stuff out with your learners along the way. If you have an idea for an activity, get a few people to try it out. Create prototypes, do user testing, run pilot tests,” Dirksen advises (2016, p. 57). Such designs should also be revised based on observations of learning effects. Dirksen identifies the importance of identifying how learning fails. For example, learners may overlearn the training situation and not be able to transfer the learning in a different context. A classroom environment, she notes, is a highly controlled and placid one, without the dynamism of a live workplace environment (p. 99). There have to be ways to ensure that the learning is robust and resilient across contexts. Also, some trainings have to enable people to respond effectively even in heightened emotional states. One method is to simulate real world pressures in the learning context (pp. 100 – 101). Virtuality in trainings can be risky because clicking a button to indicate the CPR sequence is not the same as performing CPR on a mannequin. 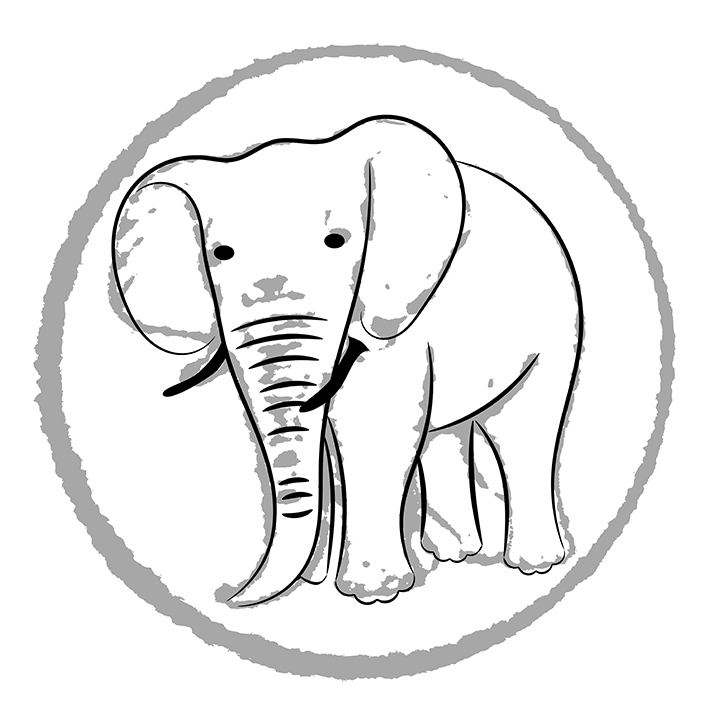 Tell it all the other elephants are doing it. If anything, contemporary mobile-device-based screen-heavy lifestyles have resulted in people having “short, distributed attention” (p. 123). Human attention spans are longer than the research literature might suggest; as an example, the author points to an eleven-hour-long “The Lord of the Rings” binge-watching marathon session at a local theater. If people are motivated, they can focus their attention for extended periods (p. 173). However, in terms of working memory limits, generally, less is more. As a matter of fact, sometimes, it is helpful to design “holes” in examples that learners themselves need to solve (p. 185). “You can give them that practice opportunity by leaving some holes in your examples that they need to figure out how to fill in, or by letting them know where they need to get to but not all the details about how to get there,” she writes (2016, p. 185). 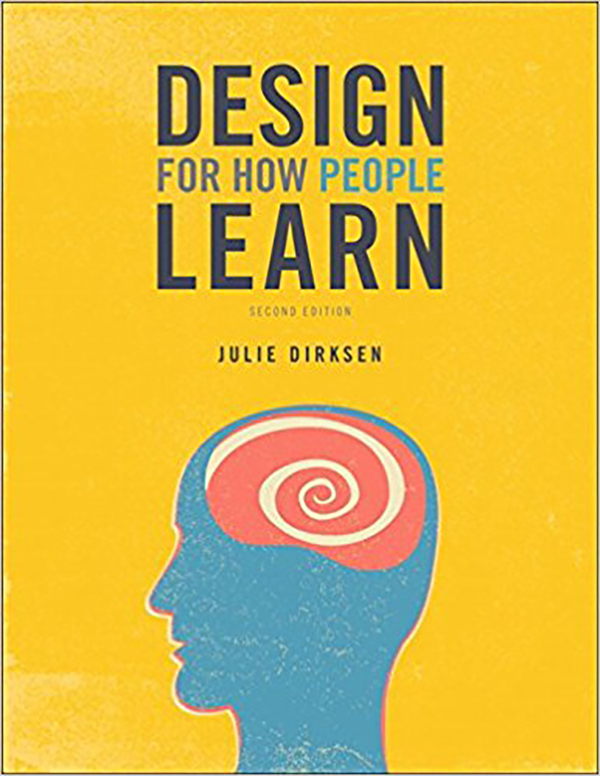 Julie Dirksen’s “Design for How People Learn” is a highly readable text that is welcoming to new practitioners of instructional design but also reads well as a refresher for professionals who have been in the field but who do not refresh on the academic literature on their own. For practitioners who do not enjoy jargon but want to know good practices, this is the book for them. If anything, this book would be stronger if there were a section on design for e-learning based on how people learn because there is very little here about the uses of technology for online learning. Dr. Shalin Hai-Jew works as an instructional designer at Kansas State University. She may be reached at shalin@k-state.edu. Discussion of "Book Review: Learner-Centered Learning Designs"
Version 5 id 1545179 of this page, updated 10 January 2018 by Shalin Hai-Jew. Created by Shalin Hai-Jew.